I spent a lot of time trying to find the right company to refinish my bathtubs. When it comes to Miami-Dade County bathroom remodels, there is a team that has consistently provided top-notch results for three decades. Our approach is affordable, ensuring the job is done much more quickly and at a better price than you would pay for the regular project with new counters, new tile, and new bathtubs. 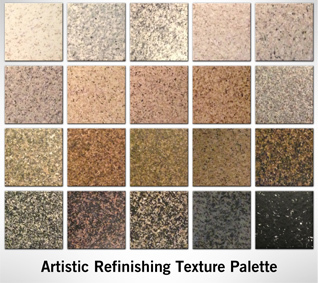 Artistic Refinishing has been trusted for bathtub refinishing in Hialeah, Opa-Locka, Miami Lakes, and Palm Springs North for more than 30 years. We take the time to assess the situation and understand your needs, so you can have an attractive, functional, and healthy project upon completion of the job. Hialeah is the sixth largest city in Florida with a population 224,669 people as of the 2015 census. Opa-Locka is a smaller town in Miami-Dade County with a population of 15,219. Miami Lakes is a suburb of Miami that has a population of 30,791. Palm Springs North is a census-designated community in Miami-Dade County, which had a population of 5,253 as of the 2010 census. If your bathtub looks worn or damaged, you can have it looking as good as new with Palm Springs North bathtub resurfacing. Resurfacing, reglazing, refinishing, or re-enameling is the process of refreshing your bathtub’s worn surface into like-new condition. Any damaged areas are repaired during the process. Cracks or chips are repaired using a polyester putty that is durable. The Miami Lakes bathtub refinishing is done after the surface has been etched, which will clean the surface and allow the new coating of material to properly stick to the surface. Different kinds of coatings are used, providing a new glass-enamel look that leaves your bathtub looking as good as new. Your Bathroom Can Look As Good As New! If your bathroom is looking worn, damaged, and outdated, it is time to upgrade. Yes, bathroom remodels are expensive, but they are worth the money. When you leave the job up to Artistic Refinishing, you can rest assured that the job will be in caring, competent hands. Our approach is inexpensive but provides the same quality results. We save you time and money by taking care of Hialeah counter resurfacing and Palm Springs North bathtub refinishing. When the job is done, you will be amazed by the results. We take pride in every job that we complete, making sure your expectations are exceeded on all levels. For more than 30 years, we have been the go-to source for Opa-Locka bathtub resurfacing and tile, counter, cabinets, and appliance refinishing. Our team will go a step above and beyond to make sure your newly revamped bathroom is safe, healthy, attractive, and functional. We can take care of Hialeah bathtub reglazing and your bathroom tiles and counters as well. We have an A+ rating with the Better Business Bureau and we have an established reputation for providing quality Miami Lakes bathtub resurfacing as well as complete bathroom makeovers. To learn more about our services, call us today. We will gladly explain the process and provide you with a free, no-obligation quote. Palm Springs North bathtub reglazing is more affordable than you think.